What did you love best about Eureka? What about Robert Meldrum’s performance did you like? 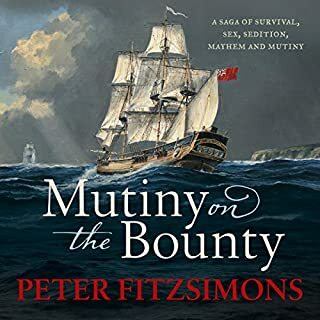 Peter Fitzsimmons books are well worth being in many book libraries. He leads in telling stories with immense detail. Give the diggers a go! I really enjoyed this book, mostly because i consider myself an australian patriot. And because the history of australian democracy just well might have been a boring story, if it wasn't for the union of hard done by gold diggers standing up against the incompetent brittish governor of victoria, the unfair treatment of diggers and the ludicrous gold licence fees. The savage brutality of the red coats is absolutely appalling. A good book for any one interested in the facts of the bloody eureka stockade. What made the experience of listening to Eureka the most enjoyable? gave me and insight into why it happened something that is not told as a kid growing up. History told through the eyes of people. This book gives a solid understanding and a genuine sympathy for all those involved. Not a stuffy list of dates and facts, or a caricature of good Vs. bad. Inspirational for those who cherish the struggles and victories of people willing to sacrifice for liberty and egalitarian justice. 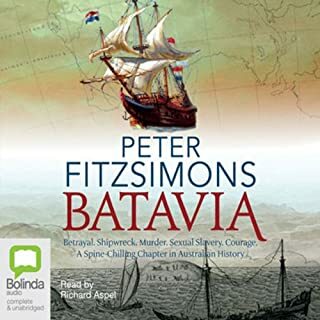 Fitzsimons unlocks the past concerning the Eureka Stockdale and the development of democracy in Australia in a thoroughly inspiring way. This book makes one feel proud to be an Aussie. Have you listened to any of Robert Meldrum’s other performances before? How does this one compare? Where does Eureka rank among all the audiobooks you’ve listened to so far? Great history but the book could have been condensed into the last half to be honest. A truly wonderful book, both historically and as a story. I'm sure I will listen to it again. Politically the events changed Australia and the courage of both the diggers along with some editors of newspapers is humbling. The fact that power can corrupt is demonstrated in events which took place during these years in the Colony, though many in authority also shone as examples of honesty, courage and decency. I would urge Schools to use this valuable writing (along with the audio) in their History lessons today. The narrator adds greatly to the wonder of the book by his obvious love of the story, many of the characters and the varied English dialects. An accurate and entertaining retelling of a defining era of Australian History. 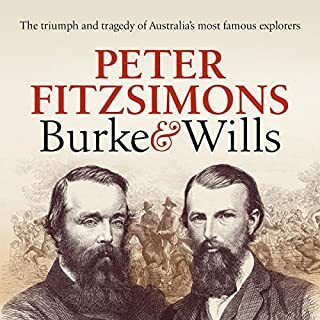 An in depth and fascinating look at Australia's Gold Rush era and all the trials and tribulations that came with it before the unpleasant circumstances unfold in what was a poignant moment in Australia's short history. The narration is fantastic. Enthusiastic yet easy to listen to, with his accents and occasional drama in his voice make you feel like you're actually there. 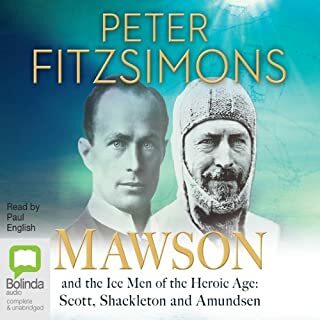 A brilliant audiobook of a brilliant piece of writing. 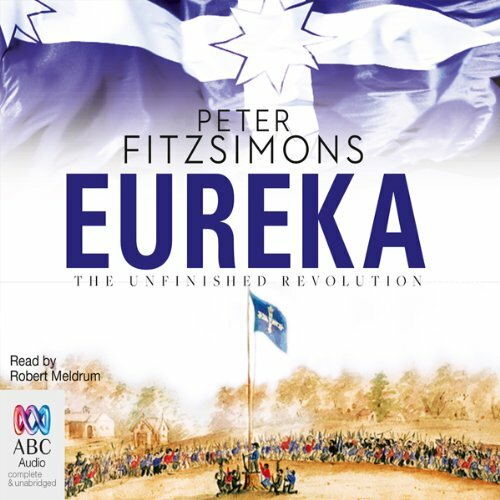 A detailed account of the preceding events and the lessons learnt from this Aussie milestone historic event, explaining why the Eureka “revolution” set a path for building a better Australian colony. I really like Fitzy's style so I shouldn't have been at all surprised that the book was that engaging. Will definitely keep in the library and listen to it again. What seems to be a well researched and document telling, of a 3rd person story, of the early gold mining era, and the infamous Eureka battle. a story that every Australian of all backgrounds should listen too. 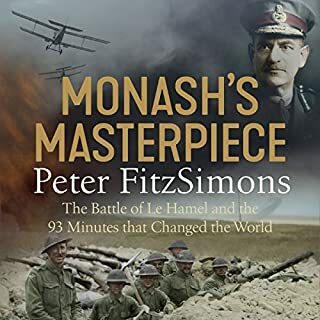 If only schools taught history the way Peter FitzSimons tells the story everyone would be enthralled. Another great Australian History overview by PF. 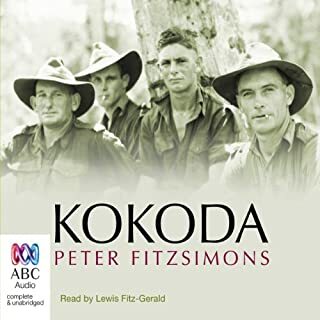 Peter FitzSimons has produced another great read/listen of great Australian History. You feel like you were their in time. Every Australian should read this book. There is much we don’t know about our cultural histories. If we truly wish to be free we must acknowledge our past and the heroes that fought for our liberties we have today. Thank you ‘Rebel’s’ of Eureka!